We offer equipment rental and pick-up and delivery services. Please call us at 916.391.8929 for a quote. We sell it all to meet your needs. Scaffold, netting, rolling towers, All-Purpose scaffold, trash chutes, plank and a complete line of fall protection equipment. Additionally, we will special order any product not in our inventory. Please call us at 916.391.8929 for a quote. Our goal is to provide access solutions for any size interior or exterior project, allowing our customers to operate in a safe, reliable and efficient manner. 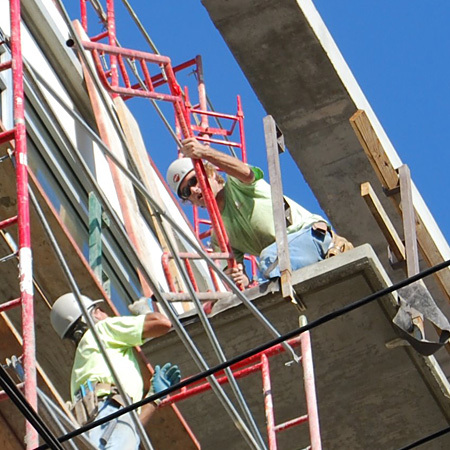 Our erection and dismantle specialists have the necessary experience and training to ensure that your project is completed professionally and on time. 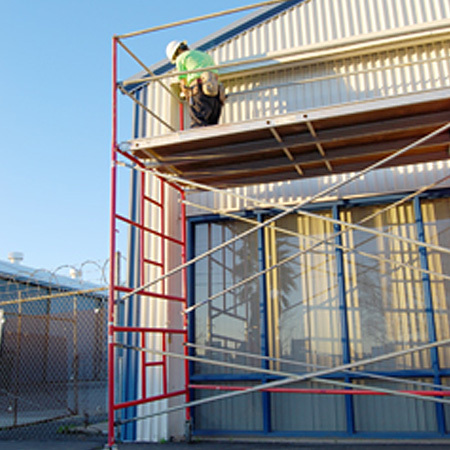 SkyLine Scaffold is an Accredited Training Institute, authorized by the Scaffold & Access Industry Association to train users and erectors of scaffold. Courses can also be customized to your individual needs. 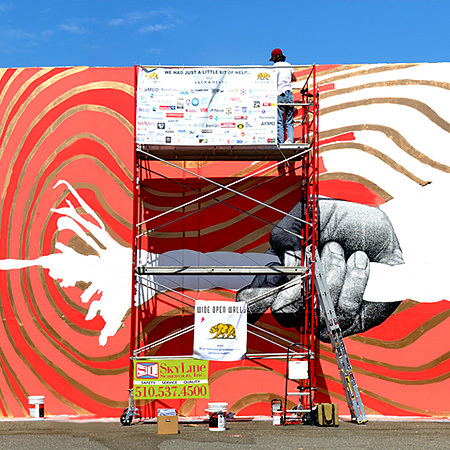 For more information, please call us at 916.391.8929. 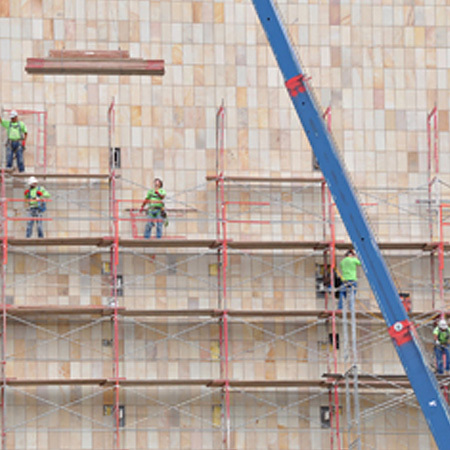 Frame scaffold provides access to almost any scaffold project. SkyLine Scaffold’s proven frame design and construction make our frames among the strongest scaffold in the industry. 1.69 diameter tubing used on all legs. Available in widths from 2 feet to 6 feet wide. Projects designed with your trade’s access needs in mind. Aluminum hatch and ladder plank. Rolling tower casters and decks. Aluminum and fiberglass platform planks. SkyLine Scaffold’s Ringlock modular scaffolding provides a versatile solution to industrial, petro-chemical, maritime and other non standard structures. This proven system of scaffold allows for a strong and secure platform almost anywhere. Ringlock rosettes allow for up to eight connections. Wedge system uses no loose nuts or bolts. Capable of 18 inch small opening entry. Half meter rosettes allow for easy height adjustment. Wedge and rosette system locks securely to provide a rigid connection. SkyLine Scaffold's shoring division specializes in emergency re-shore, demolition re-shore, custom re-shore, falsework and formwork. Our work includes concept drawings and engineering utilizing a multitude of shoring systems for both residential and commercial projects. 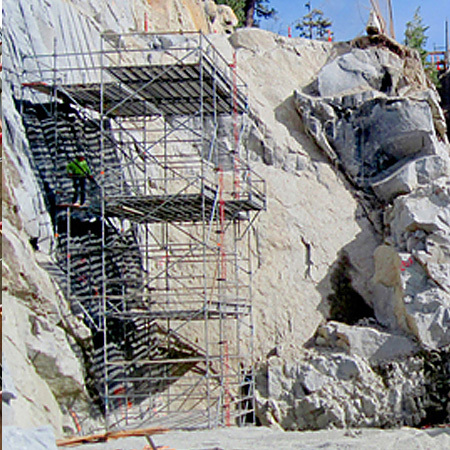 Applications include specialty design of elevated concrete shoring and formwork for heavy civil and infrastructure work, water treatment plants, waste water & recycle facilities, reservoirs, digesters, pump stations, bridges, hydro and electric power plants, subterranean parking garages and podium decks, along with structural building retrofit, remodels, and column and beam replacements support. Our modular and frame stair towers are capable of meeting your access needs. Modular ringlock stair towers are capable of meeting floor deck heights within a few inches. 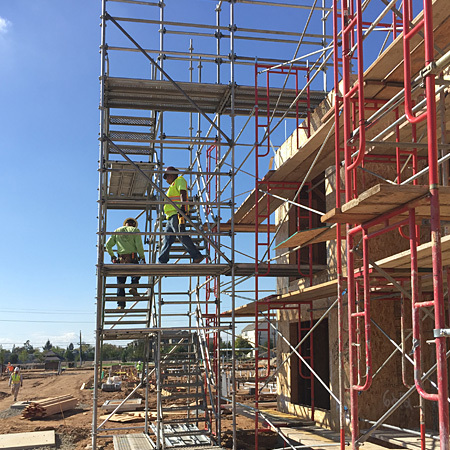 Frame stair towers are a safer alternative to access ladders. 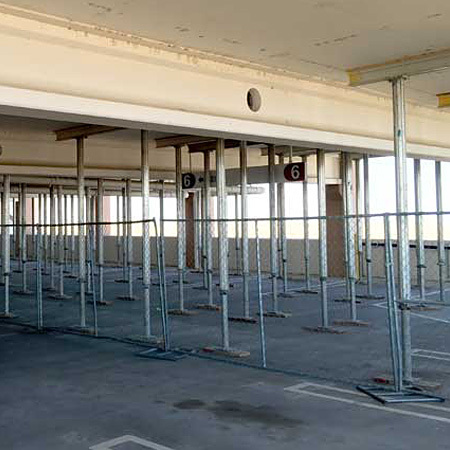 Modular ringlock stair towers meet OSHA requirements for site access and safety. 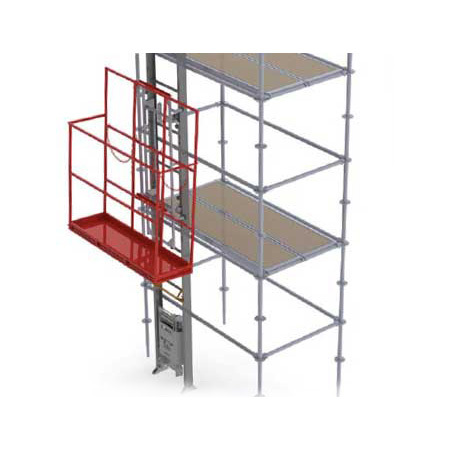 SkyLine Scaffold offers a full line of rolling towers to suit your access needs. 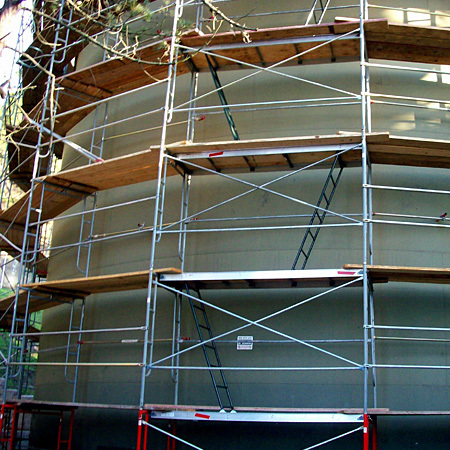 All Purpose scaffold towers offer a compact economical solution for standing heights less than 11 feet. Frame rolling towers offer flexible heights and mobility. Modular ringlock towers offer mobile access to industrial tanks and vessels. Aluminum rolling towers offer a light-weight, easy to assemble option. SkyLine Scaffold is proud to offer a complete line of Beta Max Hoists. Our Beta Max Maxial Hoists offer 450 pound lifting capacity. 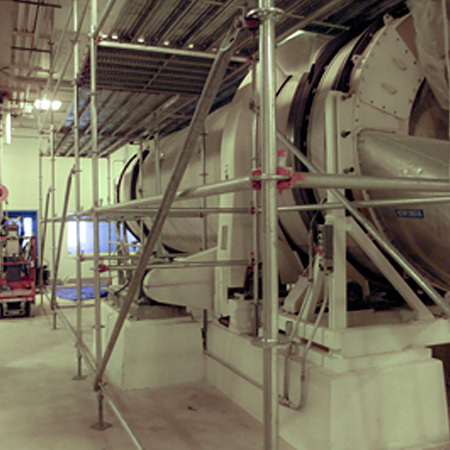 Hoists can be setup in a simple scaffold bay incorporated into the scaffold. Standard lifting height up to 250 feet. Configured to suit your material lifting needs. Our trash chutes are capable of stand alone mounting or in conjunction with an access platform. DURACHUTE polyethylene trash chutes are durable and easy to use. 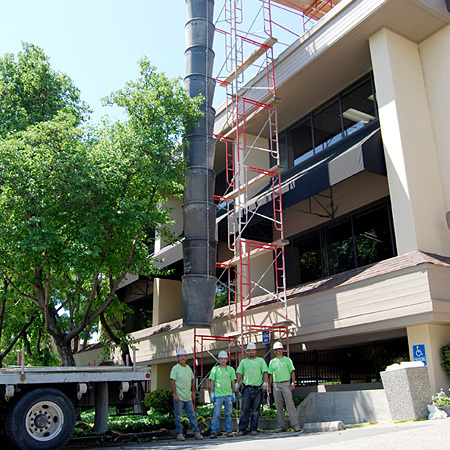 With engineering, our debris chutes are capable of 150 feet heights with a single hopper. With multiple intermediate hoppers, the chutes are capable of 100 feet heights.